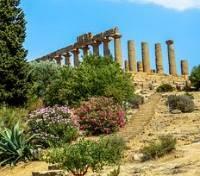 Discover the Valley of the Temples in Agrigento with private guide. 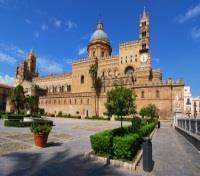 Private guided tour of Palermo's food markets and cathedral. 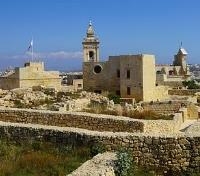 Explore Valletta, Mosta, Mdina, and the beautiful Gozo Island. 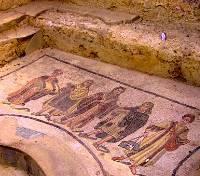 View some of the best preserved Roman mosaics the Villa del Casale. 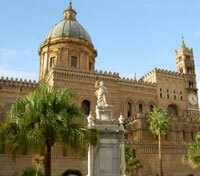 Explore age-old ruins and otherworldly landscapes on this magnificent private guided journey through Sicily and Malta. Some might say that Malta is a mirror of Sicily's past. Together, the two islands form the perfect Mediterranean holiday. Immerse yourself in the splendor and the glory of these two cultural powerhouses. In Sicily, experience Greek ruins in lush valleys that are blanketed in scented oleander and juniper blossoms. In Malta, succumb to the allure of awe-inspiring megaliths, medieval towers and Baroque churches. These mythical islands feel like open-air museums. Sense your worries slip away as you gaze out over shimmering azure waters and traverse jagged coastlines dotted with unspoiled beaches and hidden coves. Drive along rugged seascapes and stop to stroll through fresh fish markets along the way. Ferry from Malta over to the tranquil island of Gozo for a day of ultimate relaxation. At night, rest in charming accommodations that offer the comforts of home. Meet your private English-speaking assistant outside of airport customs in the baggage claim area, where they will be holding a sign with your name on it. When you're ready to depart, they will bring you to your private vehicle and transfer you to your hotel. 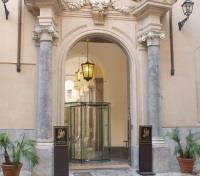 Once a convent and church, the Grand Hotel Piazza Borsa is located in the heart of Palermo, Sicily. The middle of the hotel features the Old Cloister, a sitting area with a fountain as its focus, where guests can enjoy the lovely atmosphere. Each guest room has its own separate design and personality, but all aim to provide maximum comfort, from the most exclusive suite to the snuggest single room. Two bars and a restaurant provide guests with delicious food and drinks and the wellness & fitness center keeps guests moving, while relaxed in the at relaxed at the same time. Meet your private guide, driver and vehicle and depart on a fascinating full-day exploration of Sicilian culture and cuisine. Palermo, which stretches along a beautiful bay on the Tyrrhenian Sea, was founded by the Phoenicians in the 7th and 8th centuries B.C. It was later conquered by Arabs in 831, and a period of immense prosperity commenced. You'll begin with a visit to the Il Capo market, the oldest in Palermo, where you will see and taste the famous Palermo street food, such as panelle, arancine, crocchette and Pani Ca Meusa. Admire colorful stalls featuring an abundance of fruit, vegetables, seafood and meats as the sellers’ cries bid for your attention. You'll be enchanted by Palermo's wide boulevards, traditional Sicilian Old Quarter, and baroque palaces, visiting the city's main sights, including the Norman section, Quattro Canti di Citta' (the Four Corners of the City), Palermo's extravagant baroque square and the 12th-century Cathedral of Palermo. In the afternoon, drive to Monreale to discover the Arab-Norman splendor of the Monreale Cathedral and Cloister. This nearby treasure also dates from the 12th century and shows the diverse architectural influences of both the Normans and the Arab population. 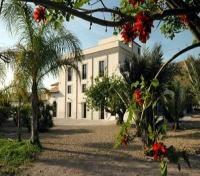 Meet your private driver and vehicle for a transfer to Mandranova Estate in Agrigento. Approximate travel time is 2 hours. On the outskirts of Agrigento lies the 16-room Mandranova Estate holiday resort, set in a garden of palm trees and African plants. Enjoy a stay of well-being and tranquility in the rustic simplicity of the old farmhouse, and in the renovated rooms of an old train station and winery. The "gebbia", formerly used for agricultural irrigation, has been transformed into a small but lovely pool where you can cool off in the summer heat. 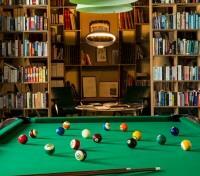 The charming owners are renowned for the warmth of their welcome and wonderful sense of hospitality. The on-site restaurant, which is for the exclusive use of guests, offers excellent food prepared with locally produced ingredients, ensuring quality and freshness. For beach lovers, there are several nice sandy beaches nearby to discover. Meet your private guide and driver and embark on a half-day tour to the UNESCO World Heritage Site known as Valley of the Temples. Despite it's name suggesting a low-lying position, the archaeological site (the largest in the world) actually finds itself on a ridge south of Agrigento. It's one of the most visited places on the island, as it offers one the most obvious testimony to the presence of ancient Greeks in southern Italy, with temples dating back to the 5th century BC. The main temples that you'll visit are: the Temple of Juno, the Temple of Concordia, the Temple of Zeus and the Temple of the Dioscuri. Then, you'll visit the Kolymbetra Garden, originally an artificial lake set between sandstone cliffs in a river valley. Now, citrus trees blossom, pomegranates grow wild and large. Wild olives grow as emerald as the surrounding leaves. The lake is now a pool that stands at the heart of the garden as a reminder of the lush past and fertile future of the area. 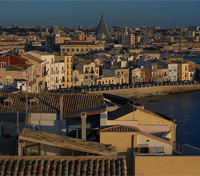 Meet your private driver and vehicle as you transfer from Agrigento to Syracuse today. En route, you'll get to visit the impressive 4th century Villa Romana del Casale ruins, a UNESCO World Heritage Site. Meeting up with your private local guide at Villa Romana del Casale, you'll get to discover this incredible ancient palace, most notable for its extraordinary collection of Roman mosaics, one of the most impressive in the world. Scenes include children at play, and big game hunts showing some of the exotic African animals brought to Rome for gladiatorial games. 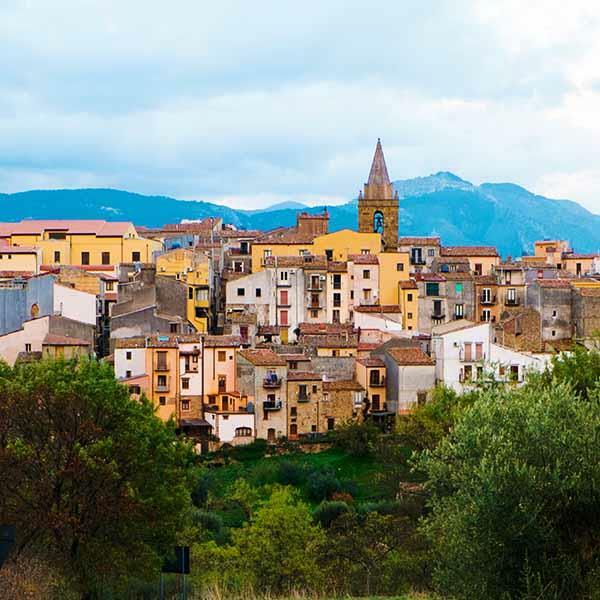 After your visit, you'll transfer to the town of Caltagirone, whose ceramics are a symbol of Sicily. Spend some time at leisure here, strolling the evocative city center, perhaps walking the city's iconic 17th century Scalinata di Santa Maria del Monte, a monumental 142-step staircase located in the old town. Conclude your day on arrival to Syracuse. 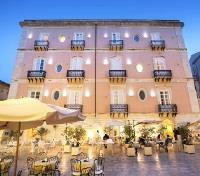 Antico Hotel Roma is located in the heart of the Island of Ortigia, just a few steps from the Cathedral, an ancient and sacred area in the historic-artistic center of Syracuse whose unique features and heritage is steeped in its Greek origins. Built in 1880, yet recently renovated, the hotel retains original architectural elements, such as capitals, columns and vaults that enrich the overall ambiance. Guestrooms are light and spacious, and offer all the amenities needed for a comfortable stay. 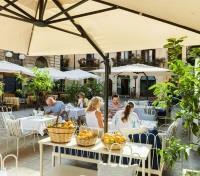 The outdoor tables and chairs placed in Piazza Minerva and the large indoor patio allow our guests to surround themselves in this ancient atmosphere, over breakfast and dinner. This charming hotel is sure to enhance your unforgettable stay in historic Syracuse. Meet your private driver and vehicle for a transfer to the port of Pozzalo. Approximate travel time is 1 hour. Transfer by ferry from Pozzalo to Valletta, Malta. Approximate travel time is 1.5 hrs. Meet your private driver and vehicle for a port transfer. For your added comfort, a private English-speaking representative will be on hand to assist you. The luxurious Grand Hotel Excelsior is ideally situated on the doorstep of a UNESCO World Heritage Site – the Capital City of Valletta, with all its major attractions, culture, art treasures, and architectural gems. Sixteenth century fortifications embrace the Grand Hotel Excelsior and its olive gardens, making it the only 5-star hotel in Malta nestled within historic architecture. With a portfolio of elegant suites and guestrooms, this acclaimed hotel prides itself in providing discerning travelers with proper Mediterranean luxury, anchored by magnificent service, breathtaking seaside views, and an unforgettable dining experience. Set out with a private guide and driver on a half-day tour of the must-see sights of Valletta. As Malta’s capital and a UNESCO World Heritage site, the city of Valletta is nothing short of an open-air museum of baroque architecture. Valletta owes both its name and its fortifications to Jean de la Valette, Grand Master of the Knights of St. John, who rebuilt the city after the Great Siege of 1565. 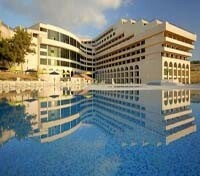 You'll stroll through the stunning Upper Barrakka Gardens, offering a panoramic view of the picturesque Grand Harbor. After, visit two great buildings erected by the Knights of St. John; the Grandmaster's Palace and St. John's Co-Cathedral, both 16th century relics. At the Grandmaster's Palace, current home to the President of Malta, you'll visit the lavish State Rooms and Tapestry Chamber, rich with 16th-18th artwork and ceiling paintings. Your visit of St. John's Co-Cathedral will have you access view the famous Beheading of St. John the Baptist by Caravaggio, a work once touted as the painting of the 17th century. 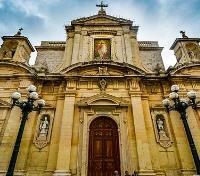 Embark on a half-day tour with a private guide and driver, setting out to explore the inland village of Mosta, and Malta's ancient capital, Mdina. In Mosta, you'll have an opportunity to see the Rotunda, a church featuring the third largest unsupported dome in all of Europe. On the outskirts of town, a pair of pre-historic dolmens (burial chambers) at Wied Filep can be seen, set on a sandstone platform behind a stone wall enclosure. While the stones themselves may seem fairly commonplace, you'll revel in the fact that they're remnants of a neolithic civilization dating back 5,000 years. Continue on to the fortified city of Mdina, a town of great historical charm, much of it painstakingly rebuilt after a devastating earthquake in 1693. Enter the city through the defensive walls, strolling through medieval quarters toward St Paul's Cathedral for a visit of the historic building founded in the 12th century. Gaze up at stunning ceiling frescoes, and admire the marble work, the stone of which was salvaged in part from the ancient Roman ruins of Carthage. 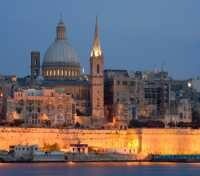 Conclude your day back in Valletta. Enjoy a full day tour to Gozo today, a tranquil island ringed with beautiful bays, and surreal crystalline waters. In the company of a private guide and driver, you'll set out from the main island of Malta and board a public ferry, sailing northwest to Gozo Island. Despite the island being largely rural, there are still numerous archaeological remains and architectural treasures to behold. You'll explore the capital, Victoria, and its old hilltop citadel, an acropolis-turned-castle surrounded by stone fortifications, towering over the city below. 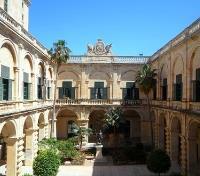 Here you'll stroll through the maze of streets and visit the 17th century baroque Gozo Cathedral. You'll also make a visit to the island's Ggantija Temples, included in the Megalithic Temples of Malta, a UNESCO World Heritage Site. The pair of Ggantija Temples are cherished as the oldest free-standing buildings in the world, and predate the Pyramids of Giza by more than a thousand years. Enjoy some of the island's natural wonders as well, such as Fungus Rock, whose plant life was harvested for medicinal purposes by the Knights of S. John, and the Inland Sea. Conclude with a return back to Valletta. Meet your private driver and vehicle for an airport transfer. For your added comfort, a private English-speaking representative will be on hand to assist you.